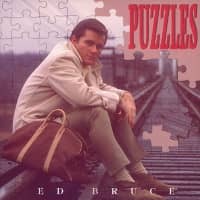 Ed Bruce is one of the most authoritative balladeers in country music in a career that has spanned more than 50 years. He is probably best-known for penning "Mamma's Don't Let Your Babies Grow Up To Be Cowboys", a massive hit for Waylon Jennings & Willie Nelson and something of an Outlaw Movement anthem. 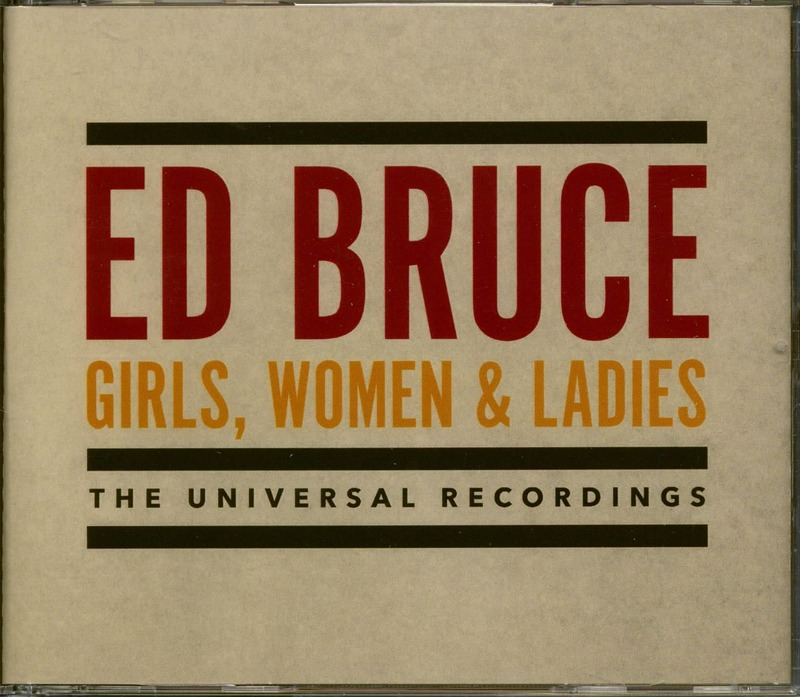 There's no doubt that Ed Bruce is a brilliant singer, a great guitarist and a writer of powerful songs. With his rugged build he looks like a real cowboy. In his denim shirt and Levis, and his Stetson. His country music is rootsy, genuine, real and highly distinctive He deserves to be regarded as a true country icon along with Willie, Waylon, Merle, Buck, Johnny and Marty. In the late '70s, it was just about impossible to avoid Ed Bruce. His composition, Mammas, Don't Let Your Babies Grow Up To Be Cowboys, was not only a #1 hit for Waylon 'n' Willie, but an era-defining song, and his records for MCA were charting. If you turned off the stereo, his voice was on radio and TV selling anything and everything from Hungry Jack Biscuits to Tennessee tourism. He even briefly starred as James Garner's sidekick in the 1982 revival of Maverick. On his MCA albums and in his television and movie appearances, Ed had the grizzled look of the Marlboro Man nearing retirement, but he didn't always look that way. In 1957, Ed Bruce was Edwin Bruce, a fresh-faced seventeen year-old rockabilly on Sun Records. William Edwin Bruce, Jr. was born in Keiser, Arkansas on December 29, 1939. His family moved to Memphis when Ed was around one year old, and his father became a car salesman. The Bruces lived on South Lauderdale just across the street from Elvis's first manager, Bob Neal. Aside from managing Elvis and Johnny Cash, Neal was a dee-jay who hosted a kiddies show as Uncle Piggly. He showed Ed how to make a few chords on the ukulele. “I got one when I was eight years old,” Ed told Dave Booth in 1986. “Then I started playing guitar when I was ten. I saved up the money from my paper route and put it in a change jar. A kid in the neighborhood had a guitar for sale and I wanted one so bad I could hardly stand it. I bought the thing and you almost needed a machine press to mash the strings down to the fretboard. My poor little ol’ hand was like raw hamburger. I worked so hard at it and my folks saw I was so serious about it that they went and rented a Martin guitar.” Ed's first passion was country music, and he was at pains to emphasize this later. In eighth grade, he won third prize in a high school talent contest singing High Noon, Around the same time, as he told Booth, "I remember going to a show at the Ellis Auditorium when I was twelve years old. I took my first true love who was also twelve. Bob Neal presented the show and the headliner was Hank Thompson. After a while my date turned around to me, 'Do you really like this?' Just broke my heart, because of course I liked it." Ed went to Messick High School in Memphis alongside Steve Cropper, Duck Dunn, B.B. Cunningham, and Don Nix. Talking to Premium Guitar, Cropper remembered that Bruce was two years ahead of him and would play shows unaccompanied singing Bo Diddley songs. “I went up to him after one show,” said Cropper, “and said to him, ‘Man, how do you DO that?’ He said, ‘Well, you gotta get you a git-tar and learn how to play it.’” Elvis was inescapable: “I remember seeing him on a package show at Overton Park Shell in Memphis,” Bruce said later. “He didn’t seem like he could play the guitar too well, but he had terrific showmanship. I met him at his house when he still lived out on Audubon Drive. I went out there with Sonny Neal. Elvis was very cordial. He didn’t even have a gate on his house at that time. Even then a lot of people were starting to take advantage of him.” Ed graduated in June 1957. A little earlier, he went to Sun to make a demo of the first song he’d written, Eight Wheel Driver, and Jack Clement heard some promise in the kid. “We had run through one song and Jack said, ‘Y’all just hold it a minute’ and he stopped, went back and got Sam out of his office. He said, ‘Do the song again.’ We did it and Sam came down onto the studio floor and started talking to my folks about what he wanted to do with me.” That first appearance was probably during April or May 1957. There was a session on May 8 and a Hi-Lo publishing contract covering Eight Wheel Driver and Doll Baby was issued ten days later, suggesting that Phillips saw those two songs as the first single. At some point, the plan changed and Rock Boppin’ Baby was issued with More Than Yesterday. Bruce recalls writing More Than Yesterday but it bears more than a passing resemblance to the Dream Kings’ MTYLTT (More Than Yesterday, Less Than Tomorrow) on Checker Records. Rock Boppin’ Baby coulda, shoulda made it; certainly, the Collins Kids thought enough of it to cover it. A wonderfully hypnotic record, it had Roland Janes’ dampened bass string guitar and rock solid drumming from J.M. Van Eaton. As he slid from minor key verses into a major key on the bridge, Bruce’s tightly controlled vocal cut loose to great effect. He ensured good sales in Memphis with local gigs and an appearance on Memphis’s own clone of Bandstand, Wink Martindale’s Top Ten Dance Party. 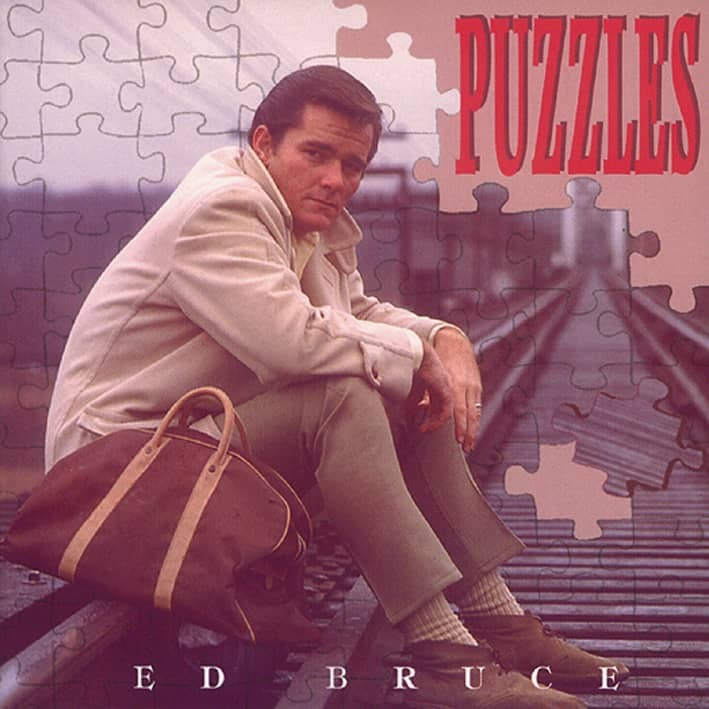 The fall of 1957 found Edwin Bruce at Memphis State University majoring in speech and drama. During the Christmas break he returned to Sun and recorded a number of titles. The sessions yielded Sweet Woman/Part Of My Life, released in April 1958. During April and May 1958 Johnny Cash was working off his commitment to Sun in preparation for his move to Columbia Records. He was holding back all of his new songs because he would be getting a better rate from Columbia and this gave Sun Records’ little army of songwriters a golden opportunity. “I was in the studio when Cash recorded ‘Guess Things Happen That Way,’” said Bruce. “I was sitting in the control room and Jack Clement said, ‘We need a bridge or last verse’ so I wrote one on the spot. I never thought about saying, ‘Hey, what about giving me a share.’ A manifestation of the innocence of youth.” Ed Bruce demo’d his song King Of Fools in a Cash-like style and played his own Luther Perkins guitar part. That song and some others might have been intended for the ears of Johnny Cash. The log books suggest that Bruce played guitar or sang backup on one of Cash’s last sessions, although Bruce has no recollection of it. A lot of tape was expended on King Of Fools suggesting that it was seen as a potential third Sun single. 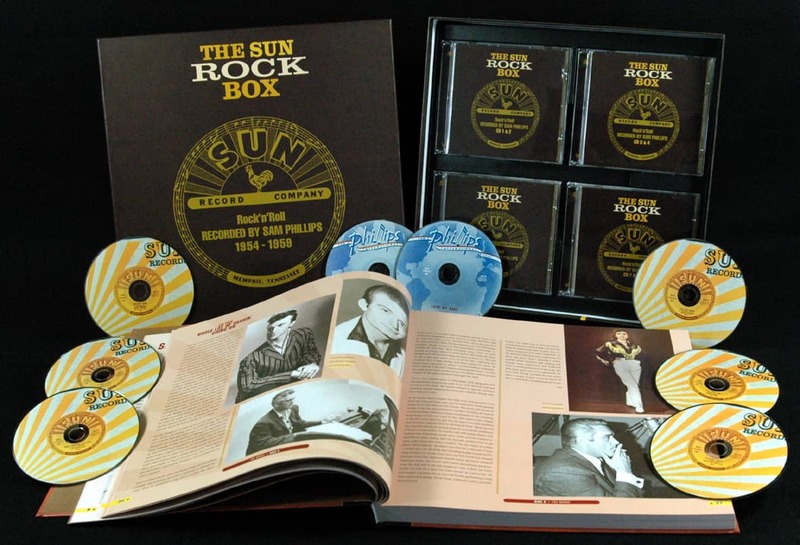 If the cryptic notes inside Sun tape boxes are to be believed, then Bruce returned to Sun for the last time in April 1959 to try King Of Fools yet again. If so, it was his swansong at Sun. Ed sold used cars after graduation and worked a few lounges as a solo act with his guitar. He didn't get another shot at recording until 1960. By this point, Jack Clement was gone from Sun and was working with Chet Atkins at RCA in Nashville. He brought Ed to Nashville to cut a single for RCA. One side was a sickie song, Flight 303, written by Sun producer Charles Underwood; the other was one of Ed's originals, the lovely Spun Gold. In 1962, Bill Black got him a three-record deal with Scepter-Wand Records. One of the songs, See The Big Man Cry, was arranged by yet another Sun alumnus, Bill Justis. Ed moved to Nashville, trying to peddle songs, but his biggest success came when Bill Black placed one of his songs, Save Your Kisses, on the flip side of Tommy Roe's Sheila. By the time Ed recorded for Sonic and Apt Records in 1964 and 1965, it was clear that his career in pop music was over before it got off the ground. The Beatles had changed everything, and Ed was thinking of getting out of the business altogether when Charlie Louvin scored a top five country hit with See The Big Man Cry. Its success earned him another shot on RCA. Ed married for the first time in Memphis. His son by that marriage, Trey Bruce, became a successful country songwriter and producer. Ed met his second wife, Patsy, during his first year in Nashville when they both lived in the same apartment building. They married in October 1964, and by the time they returned to Nashville they had a one year-old daughter, Ginny. Later, Patsy took over Ed's management. 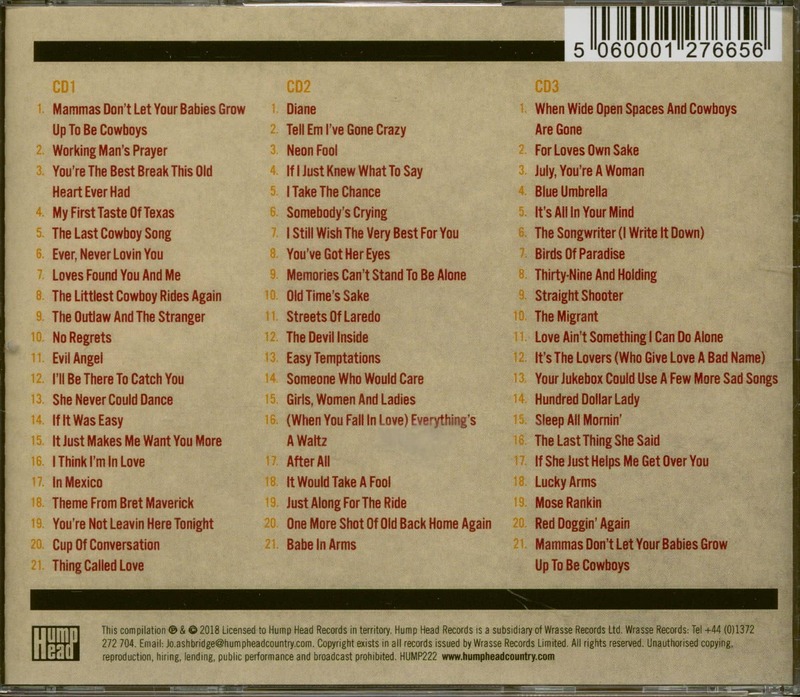 Back on RCA, Ed cut the Southern gothic Walker's Woods and finally had a hit under his own name. He paid the bills working with the Marijohn Wilkin Singers on WSM-TV and on the 'Bobby Lord Show.' He did background vocals on commercials, and, as of July 1969, he joined Pete Sayers on WSM-TV's 'Morning Show.' A year or two later, Ed and Patsy bought a restaurant in the Biltmore Hotel on Nashville’s Eighth Avenue. Commercials were Ed's mainstay for years, though. He sang and narrated spots for over one hundred sponsors. "People in Nashville used to laugh at us," he said, "but they quit laughing when they found out how much money was in it." The RCA deal was followed by a stint with Monument and then a four-year lay-off from recording. When Ed came back it was with United Artists, Epic and then MCA. Waylon 'n' Willie hit #1 with his Urban Cowboy anthem Mammas, Don't Let Your Babies Grow Up To Be Cowboys, and in 1981 he finally had his own first #1 hit as a singer with You're The Best Break This Old Heart Ever Had. In 1984, Ed quit MCA and went back to RCA for the second time, or third if you count the one-off single in 1961. 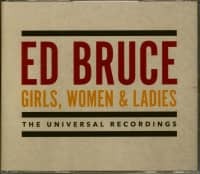 Customer evaluation for "Girls, Women & Ladies - The Universal Recordings (3-CD)"